Well, the Houston Writers Guild annual conference went really well, according to everyone. I was one of the breakout speakers and did a presentation called “Preparing to Work with and Later Working with an Editor.” I was super nervous and felt I messed up a good amount, but I got great feedback about it afterward. The audience was perfect: they took notes, laughed in the right spots, and asked questions. Below is the title page of my PowerPoint presentation. I also had a little table set up that I stayed at for most of the rest of the conference, and people came by to ask advice about their books and get information about the editing process. I tell you, it’s such a rewarding feeling doing what you love, being able to help others reach their goals, and having people look to you for guidance. Later in the day I participated on a panel with a few literary agents and one other editor. That was definitely helpful to a lot of writers. Those agents were available during the day to hear book pitches, and I got to hear all about several people’s encouraging sessions with the agents. Such excitement all day. So, though I was a nervous wreck for a good part of the day, it was totally worth it. I’m looking forward to next year’s conference already. 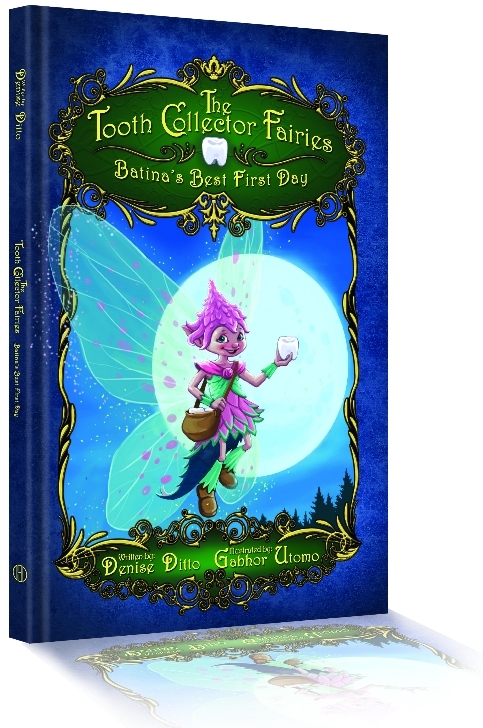 I had the pleasure of working with author Denise Ditto Satterfield on her first book in the series The Tooth Collector Fairies. It’s truly a sweet, special children’s book, and I’m so happy that it came out how it did. Check it out here. This book is even coming to life as a musical at a local performing arts center! I enjoy keeping up with many clients, even after our work together is done. Many of them have produced amazing works and are on their way to making even more. There are a lot of great ideas out there, and I’d love to help as many authors as possible reach their goals. I just love when my clients meet their ultimate writing goals. It’s a great feeling when they come back to me and excitedly tell me that their books (that I edited) have been published. I know how important their work is to them, and it’s a privilege to help shape those books into even greater works. This children’s book was written by Cathey Nickell, and it’s such a unique concept and has beautiful illustrations to go with it. It’s available here. Those of you still working toward publishing goals, keep at it! And if you’d like my help, please let me know. OK, I promise that I am working on blog posts with more words in them. I’m actually working on a two- or three-part series about book publishing, but that’s taking a while in between editing things. They’ll be awesome when I do complete them, though! Moving on. I love funnies (cartoons, puns, pictures, etc.) about grammar, writing, editing, and all that good stuff. Sure, some may be groaners (or just lame, according to many), but if they’re about my passions, I’m likely to love them. Makes sense, right? So today, I want to pass some on to you in case you feel the same way. Here are just a few that I really like. If you have some great finds of your own, please share!